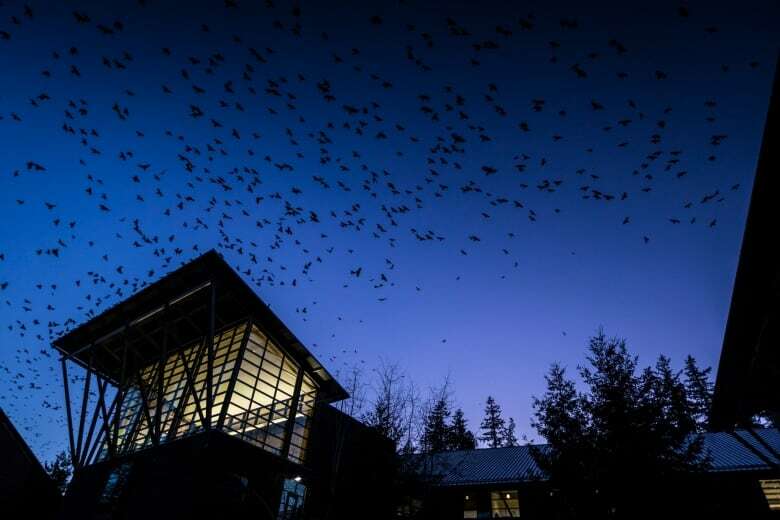 The caw-caw-caw of crows is a familiar fall sound around British Columbia and, until now, their cacophony has been indecipherable. 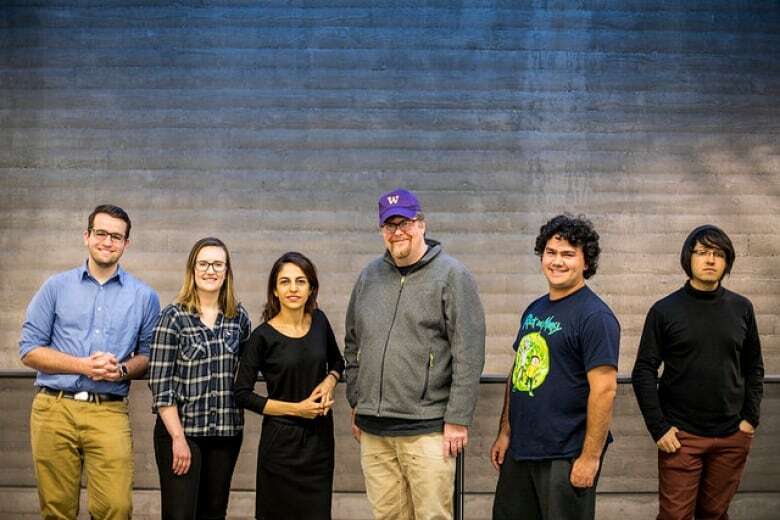 Researchers at University of Washington Bothell, north of Seattle, want to change that and determine what all the noise is about. "As humans, we're just fascinated by other intelligent creatures," said biologist and lead researcher Douglas Wacker. "[Crows] are constantly cawing and we really want to find out what all those caws mean." The research team has placed recording equipment on the roof of the university's science building to study the sounds, Wacker told CBC host of On The Coast Stephen Quinn. He estimates the campus is home to roughly 16,000 crows this time of year. Researchers said the birds make different noises if they sense they are being recorded. "We found in recording crows, previously, that if we are present while we were making the recordings, if we are pointing a microphone at crows, they will make different types of calls just because we are there," he said. So researchers resorted to stealth and eavesdropping instead. Although they have no concrete evidence yet, Wacker said he is convinced the caws have deeper meaning. "They wouldn't take the time or spend the energy to make all those vocalizations unless they serve some purpose," he said. One clue lies in the different variations of sounds the crows make, depending on the situation. When they are mobbing a predator, like an owl, for example, they make "very harsh sounding caws" that overlap, said Wacker. The louder sounds may be employed to give the impression of a larger, stronger group in a bid to scare the predator. The calls crows make as they fly seem to be a way to recruit other crows into the murder so they can follow the group and roost together for the evening, Wacker added. As for the everyday caws of crows sitting on a telephone line? "We don't have a great idea of what that is for," Wacker said. "They could simply be saying 'Hey, get away from me' or they could be actually sharing information about their environment or perhaps where they found food earlier in the day." 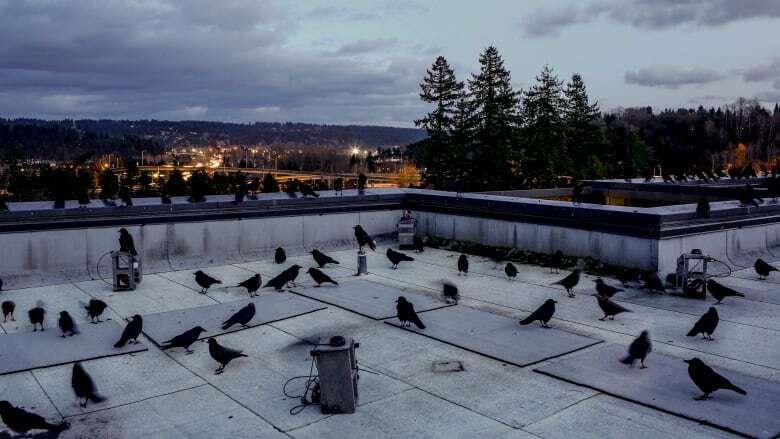 Whatever the crows are communicating, the researchers plan to continue eavesdropping until they have answers. "They are incredibly charismatic and they are right at our back door," he said. "Who wouldn't be fascinated by this other intelligent creature that kind of lives alongside humans?"